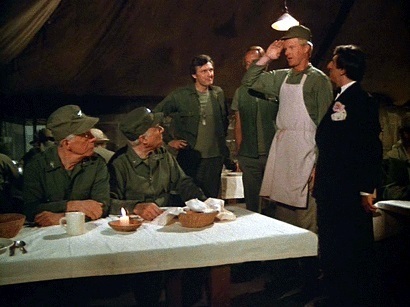 Today we cover Season 8 Episode 1 "Too Many Cooks"
Plot Summary: The 4077 receives a patient who is a bumbler at the front but regular gourmet in the mess tent. The surgical staff try and convince Potter to keep him but he flatly refuses. He has enough trouble as it is, his marriage is in danger.